Campaign Overview: When working together, educators and parents can make the best learning environment for every student. 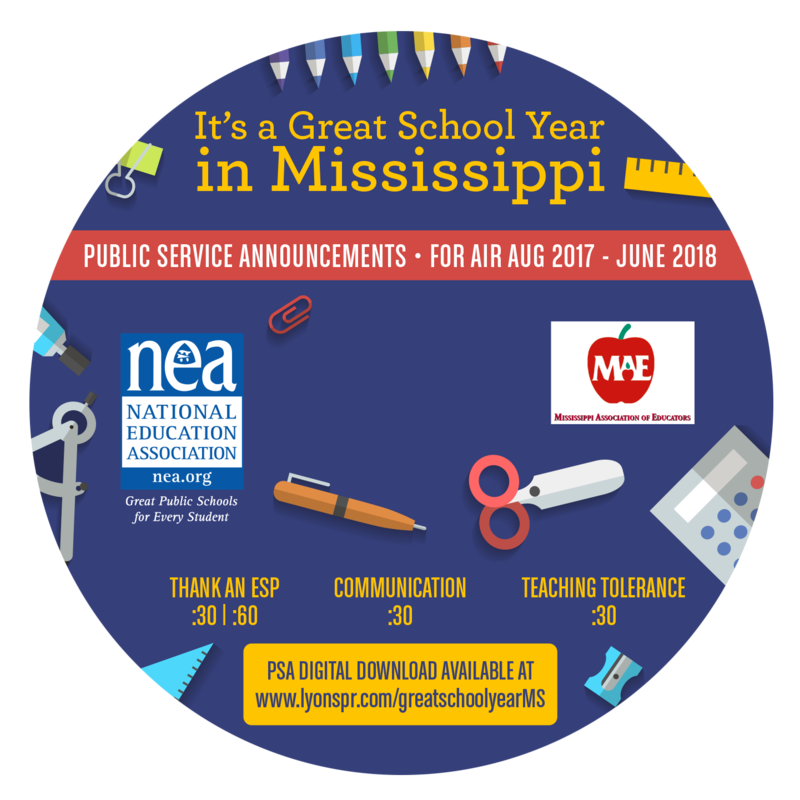 That’s why the Mississippi Association of Educators produced a new PSA campaign for the 2017-2018 school year that encourages open lines of communication with teachers, acknowledging those working to behind the scenes, and creating a respectful environment for all students. 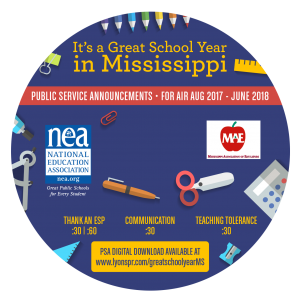 Please help Mississippi students – and parents – by adding these PSAs to your on-air rotation. The messages speak to any audience and are evergreen for airplay throughout the year.